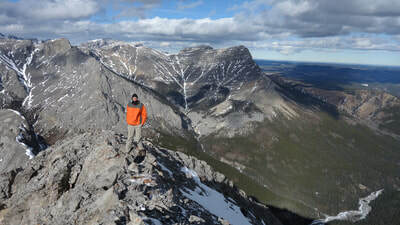 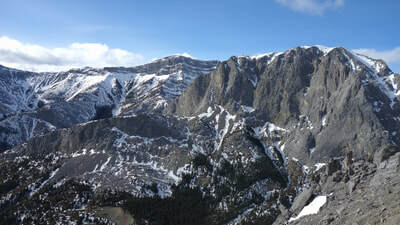 East Wendell Mountain is a nice peak hidden behind the much more popular Yamnuska Peak above the CMC valley. 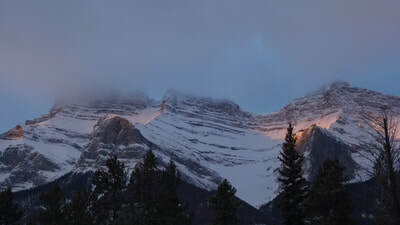 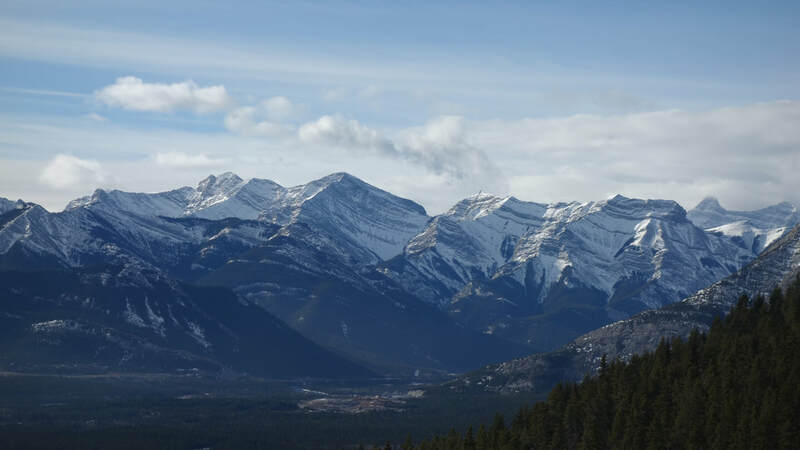 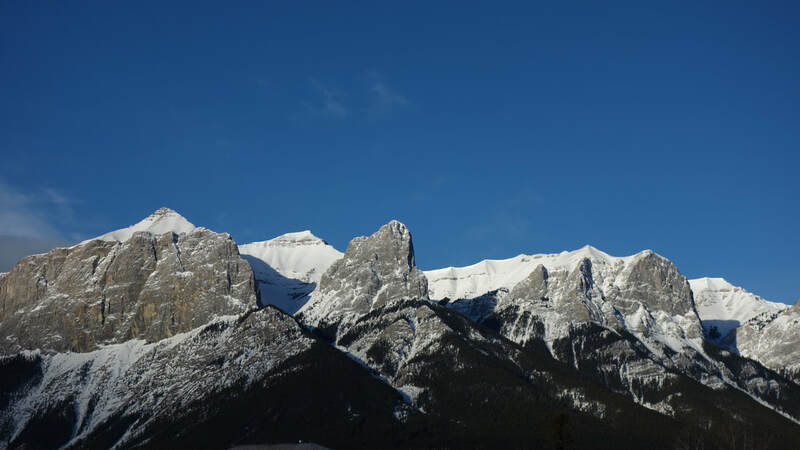 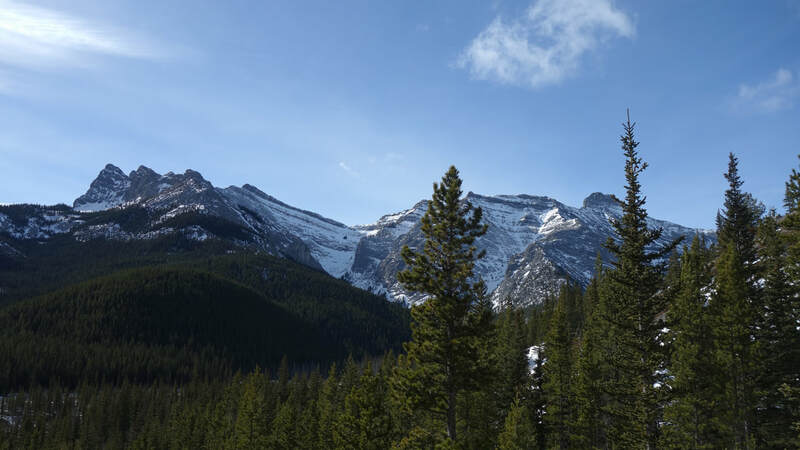 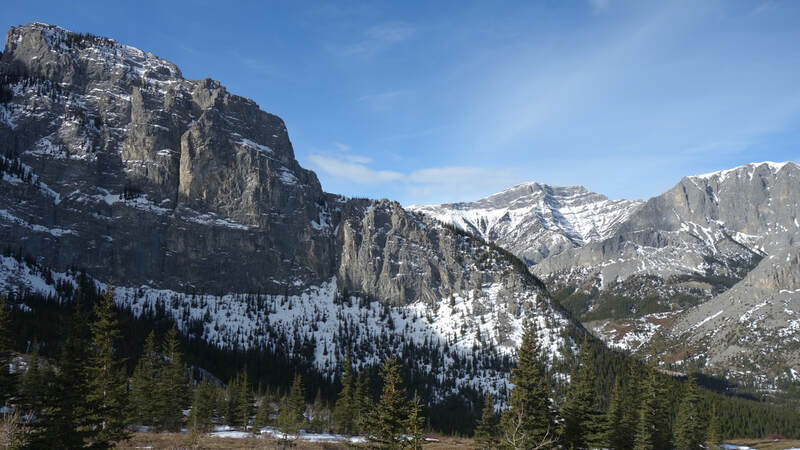 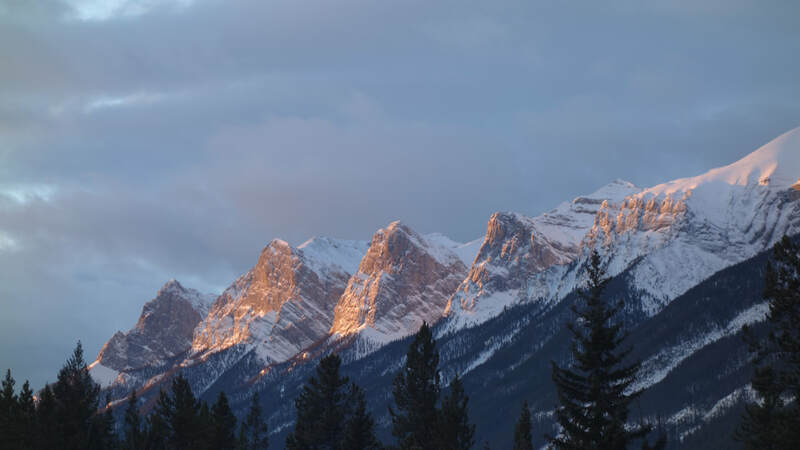 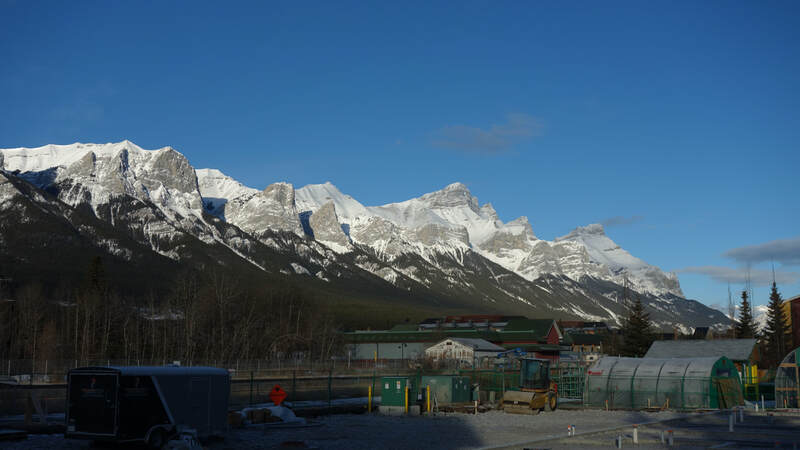 The peak can be seen from the Trans Canada Highway as you drive into Canmore, however once you pass the exit for the Kananaskis Highway, Yamnuska Peak obstructs it. 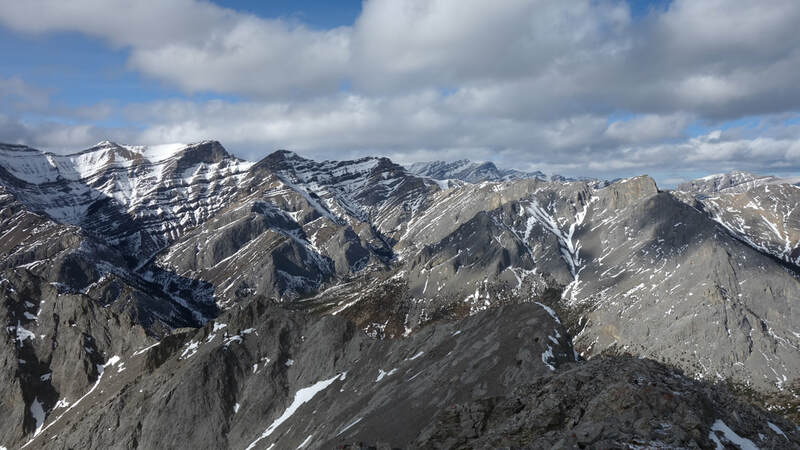 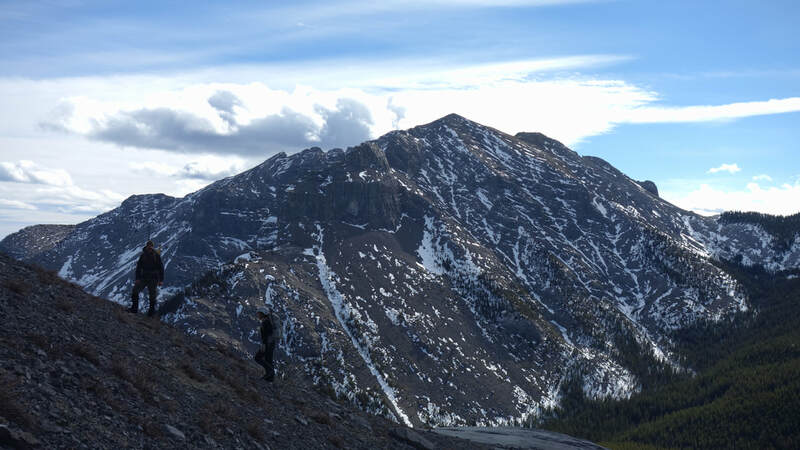 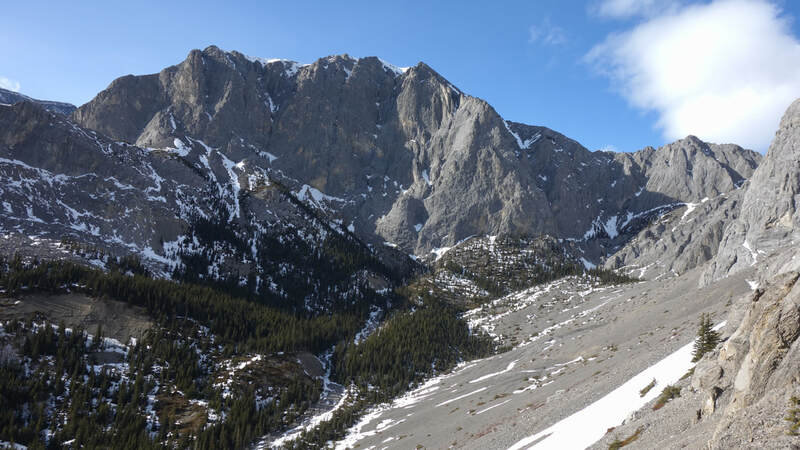 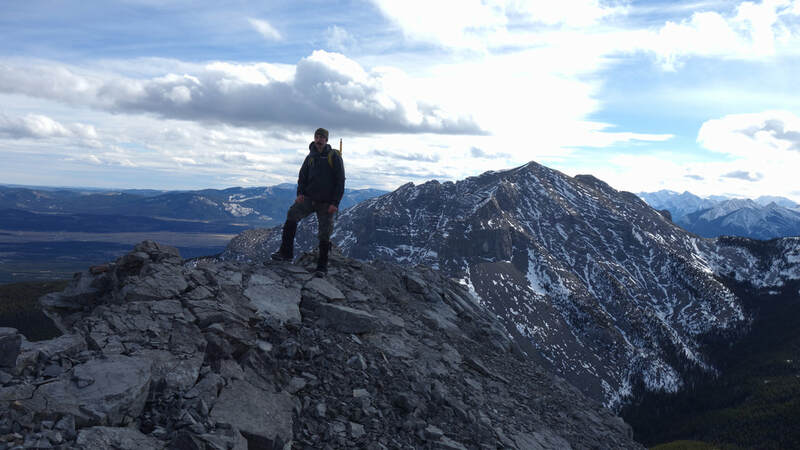 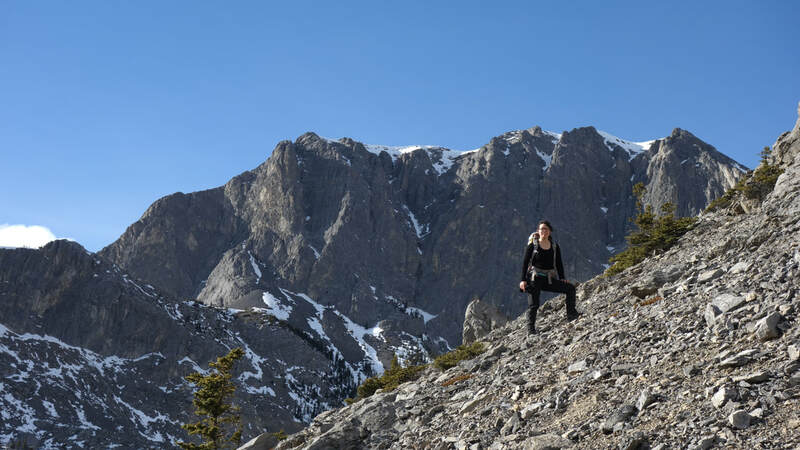 Few people make the hike to this peak since it involves a considerable amount more elevation gain due to losing 800 feet on the approach, which has to be regained on the return trip. The summit offers spectacular views of the Fairholme Range, and the backside of Yamnuksa most people don't get to see. 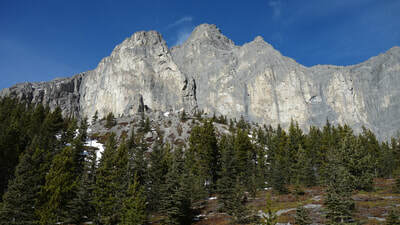 Use the trailhead as per the Yamnuska Peak Trail located 6 miles north of Exshaw on Highway 1A. The trailhead parking area is large enough for about 30 cars, and turns east from the highway on a dirt road for about 500 meters. 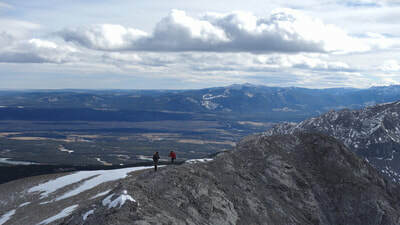 From here, the trail is easy to follow all the way up to the ridge at the base of the cliffs of Yamnuska (about 1 hour). 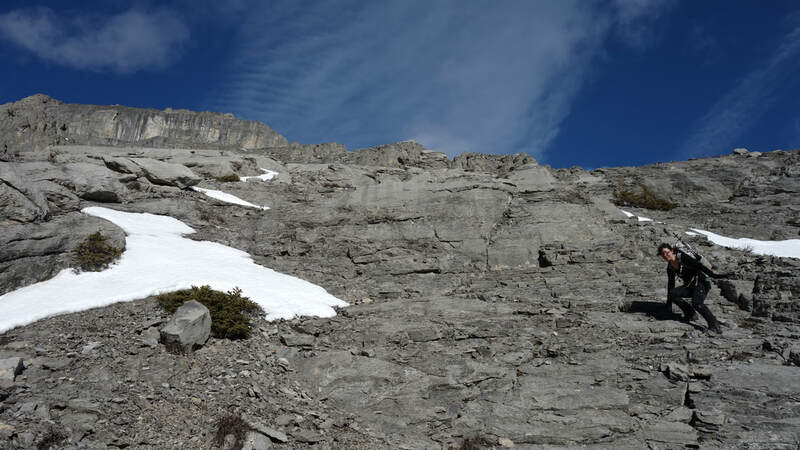 Don't hike all the way to the base of the cliffs but to a point maybe 50-100 feet below the base on the trail. 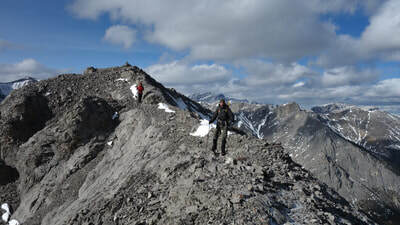 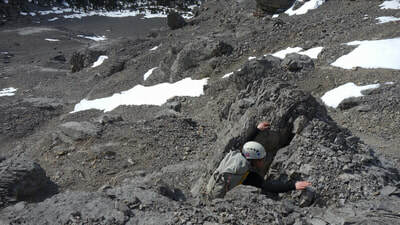 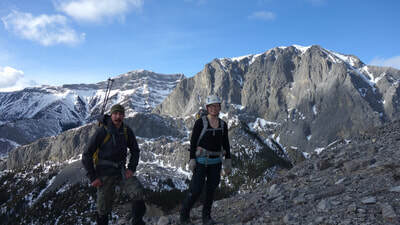 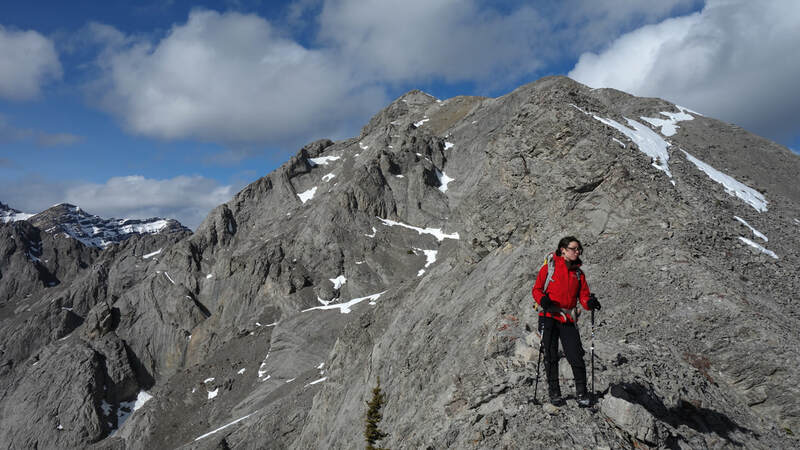 The South Ridge of the East Peak is likely the most commonly used route of ascent. 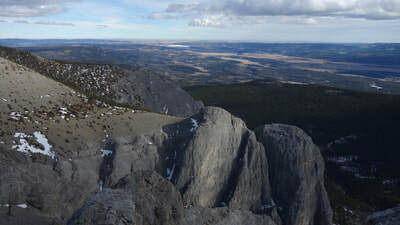 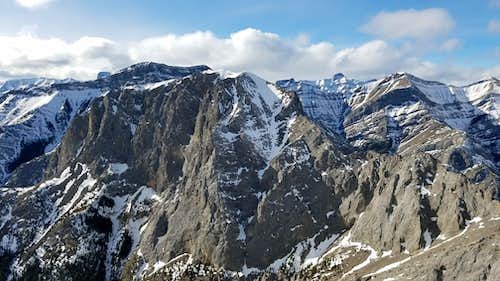 From the base of the cliffs on Yamnuska, descend right down into the CMC valley, trending leftward through the trees and quickly emerging onto an open grassy meadow which provides an easier bushwhack free descent to the valley floor (a descent of 800 feet). 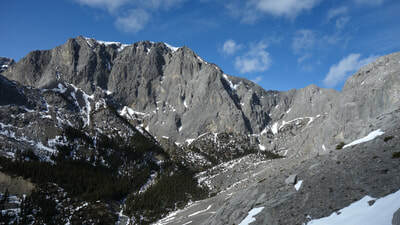 Cross the creek and continue west beginning an ascending traverse towards the prominent towers at the base of the CMC walls. 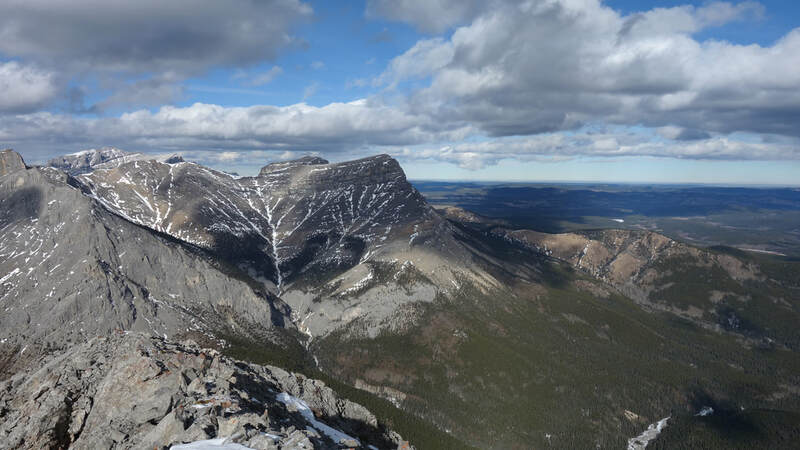 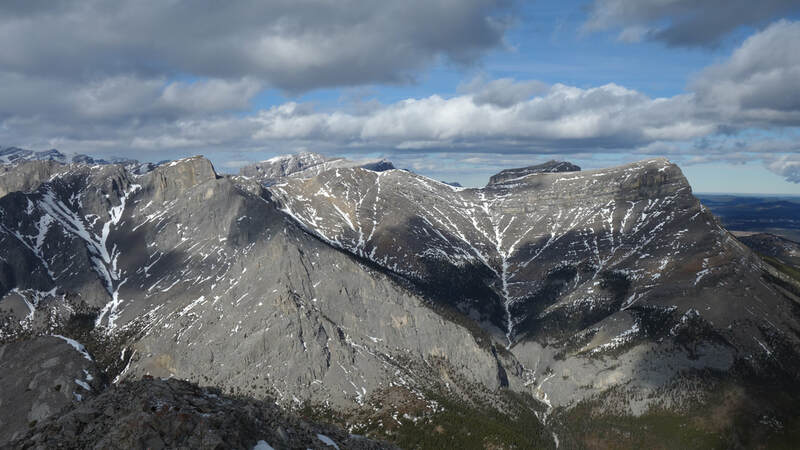 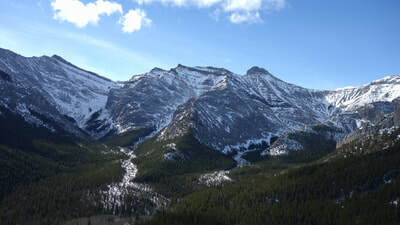 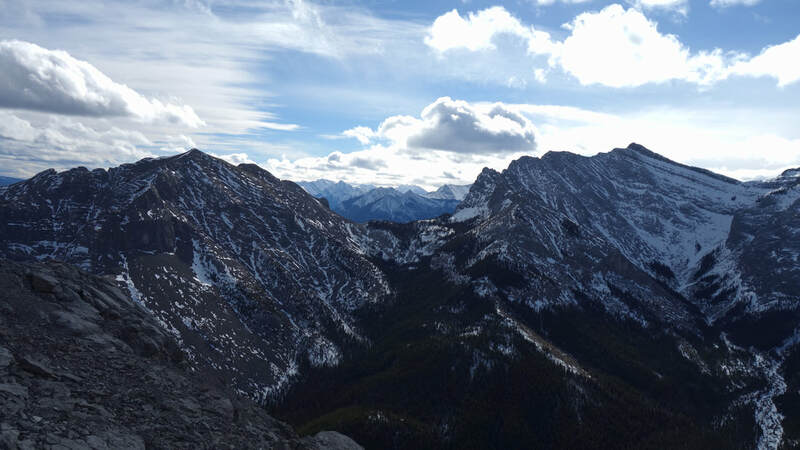 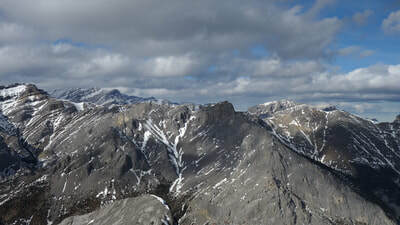 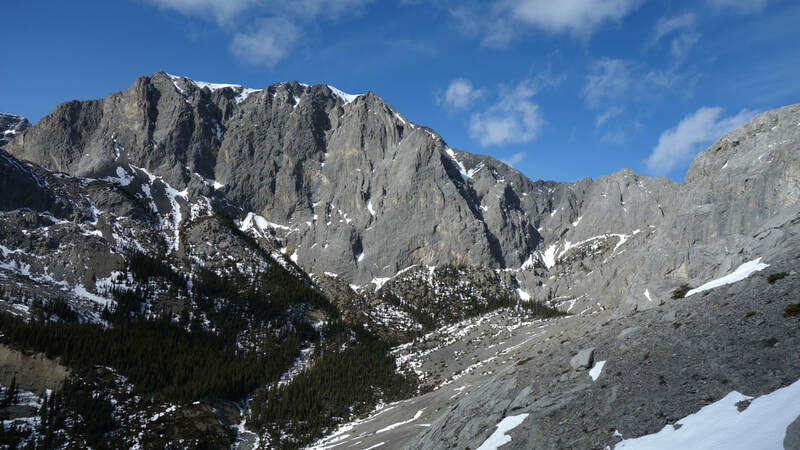 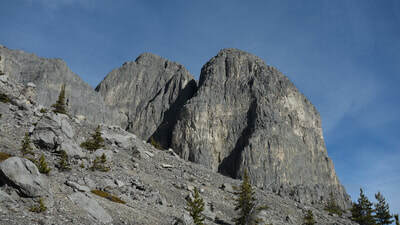 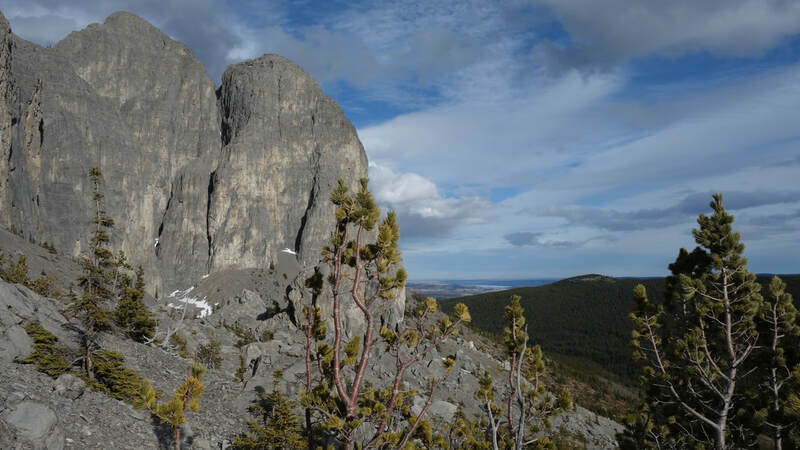 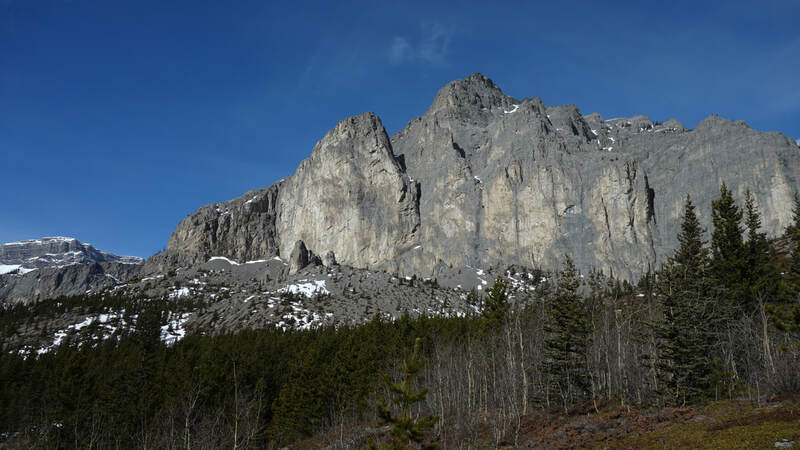 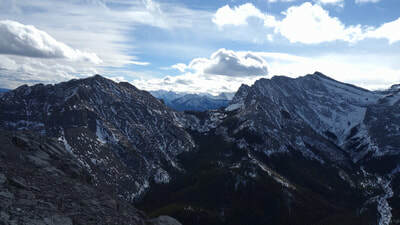 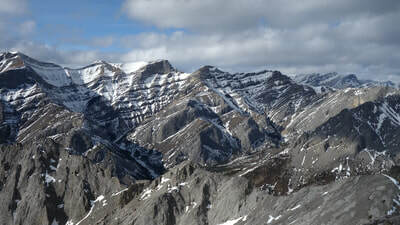 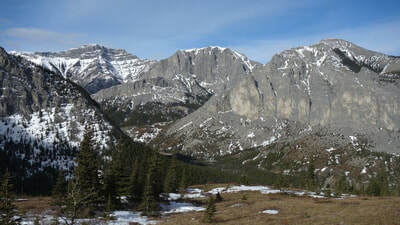 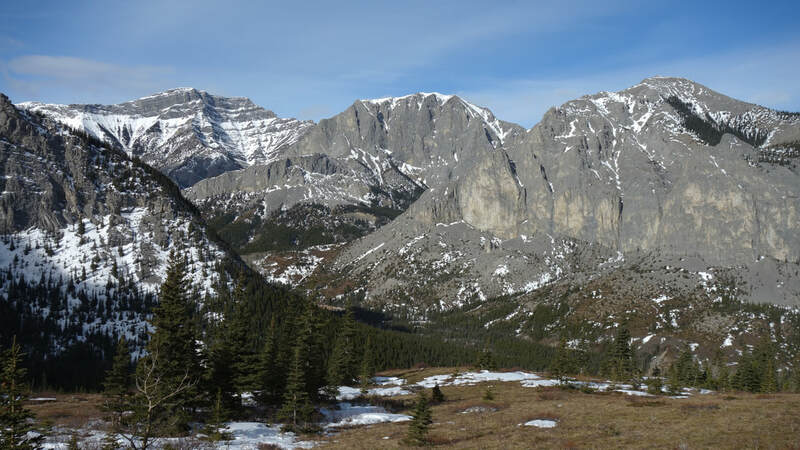 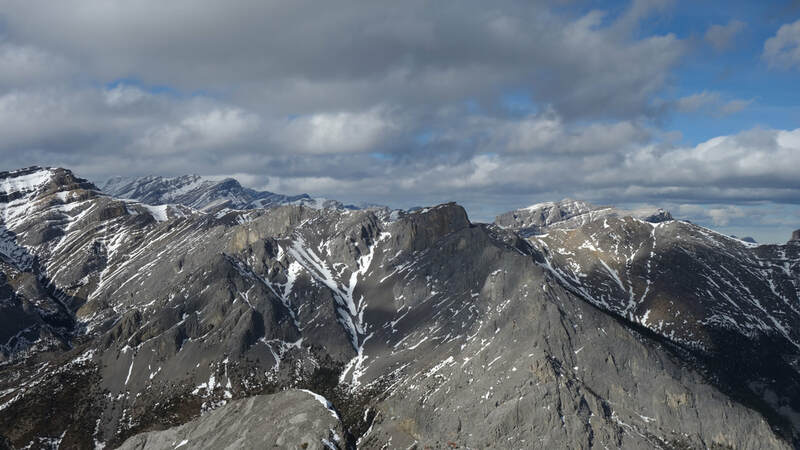 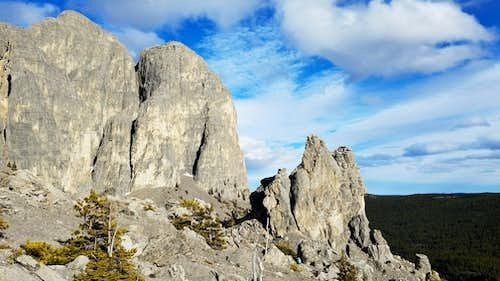 These towers are easily seen from the trail on the ridge at the base of Yamnuska. 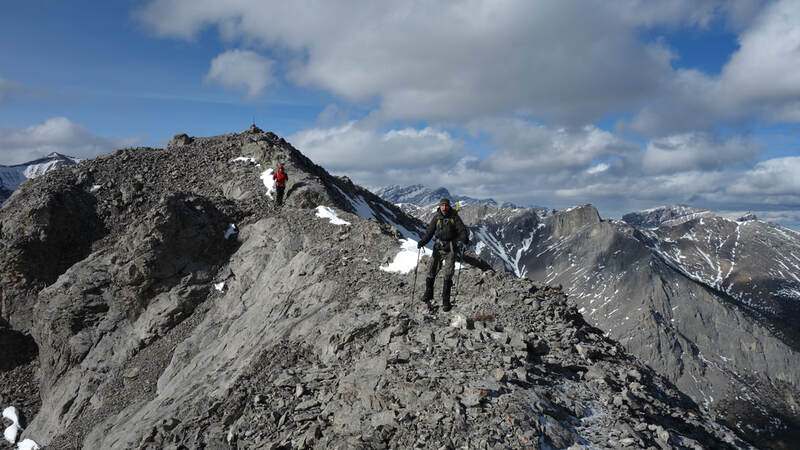 Once you reach the towers, continue to follow small game trails across the talus slopes more or less maintaining a constant elevation of 5500 feet. 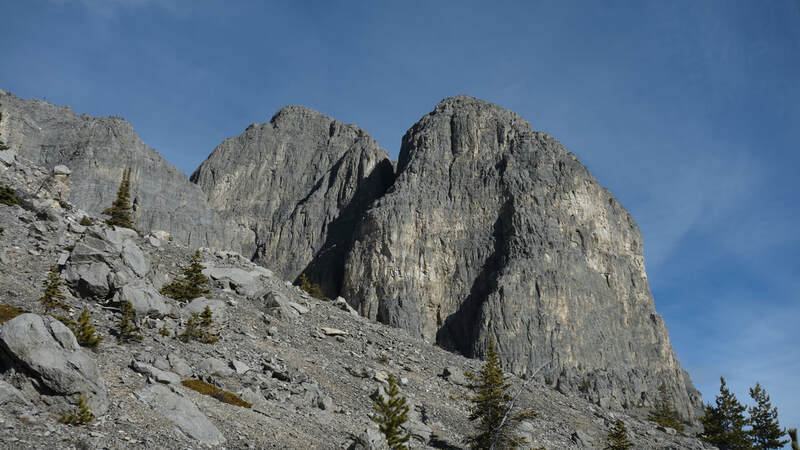 Once you round the south shoulder of the mountain, begin ascending north up the steep scree weaving your way up through and around small cliff bands and Limestone slabs (Class 3 max). Once you reach 6800 feet you'll emerge onto a much more defined ridge-crest, where the angle mellows out and it's an easy walk the rest of the way along the ridge to the summit. 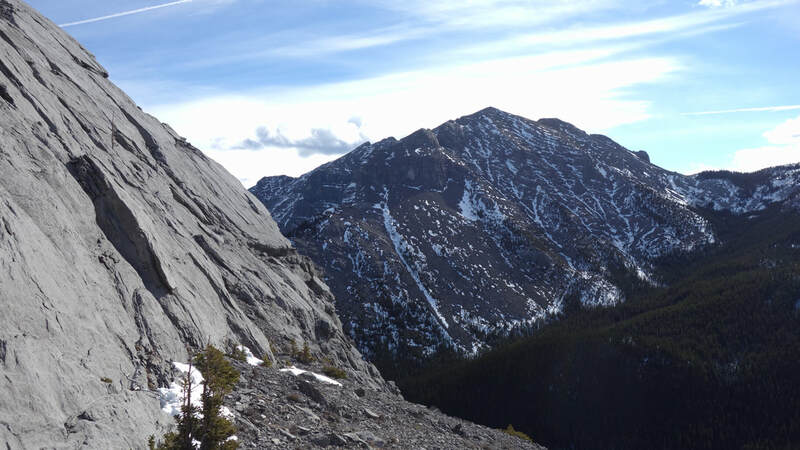 You can probably camp in the CMC valley if you wanted to, however this climb is best done as a day trip. 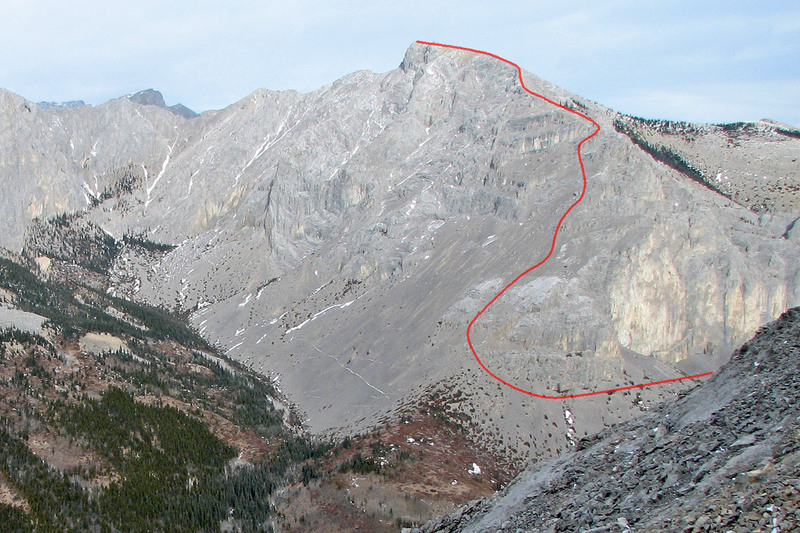 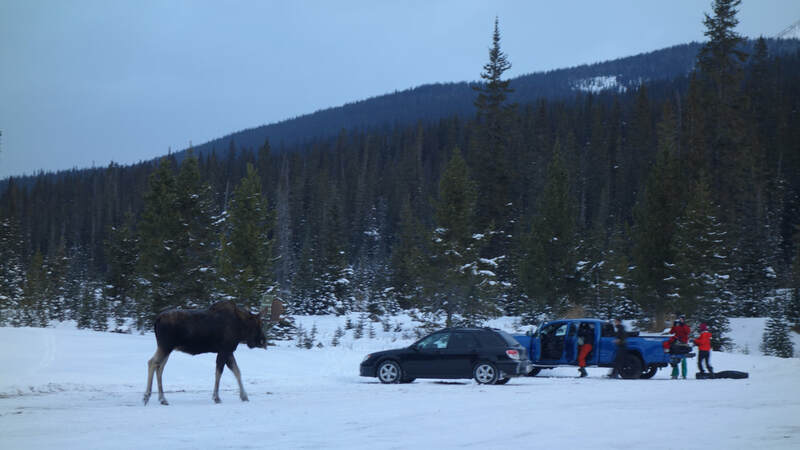 You can car camp at the trailhead (sleep in your car), or stay at the Hostel Bear in Canmore. 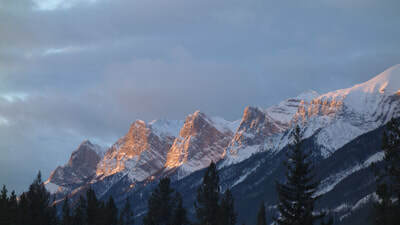 Other lodging options exist as well. No permits or fees otherwise. Anytime of year. Winter and spring are popular when the weather and avalanche conditions are good. 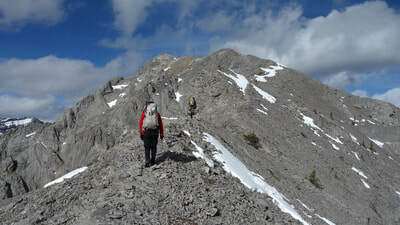 Be prepared for snow hiking, and brutal wind and cold in winter. 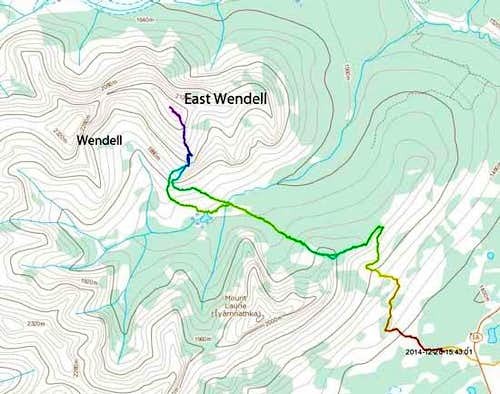 See the images below for a good map of the route and topo for the standard route.